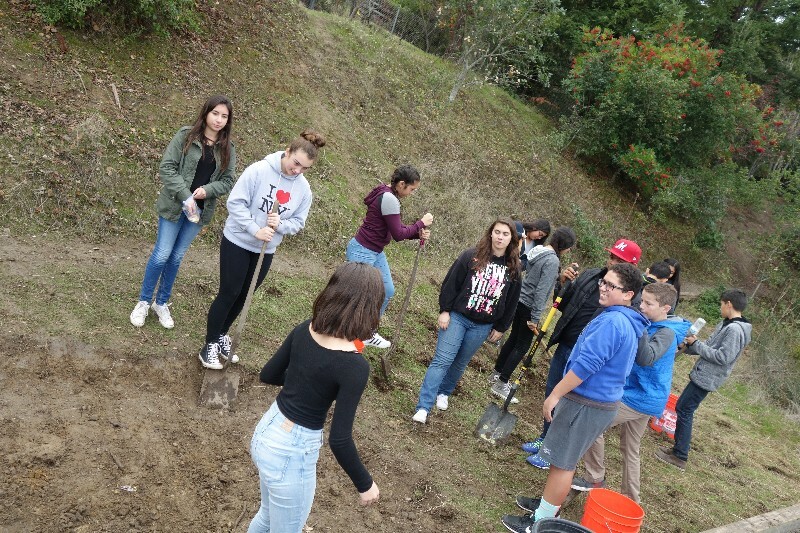 Wetlands Reconstruction Project - Green Kids Now, Inc.
Green Kids Now partnered with Save The Frogs non-profit organization to reconstruct wetlands to restore natural habitats. 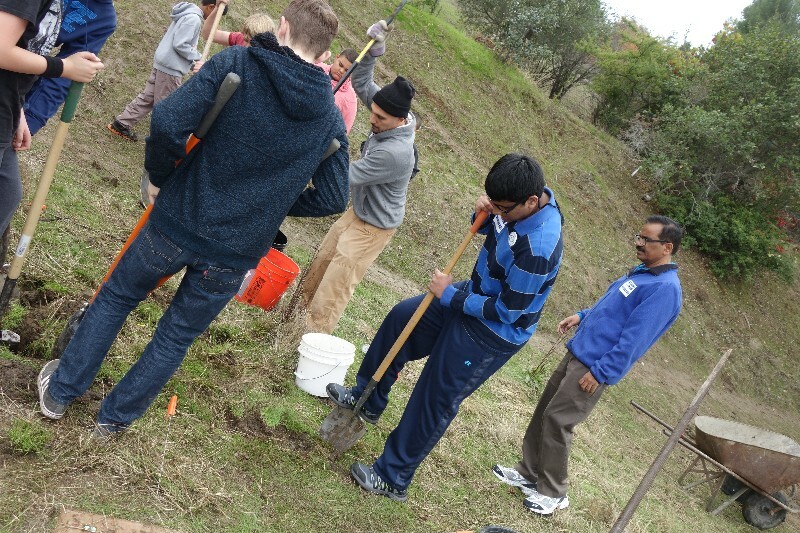 Thanks for all YOUR help to make these wetlands a reality! 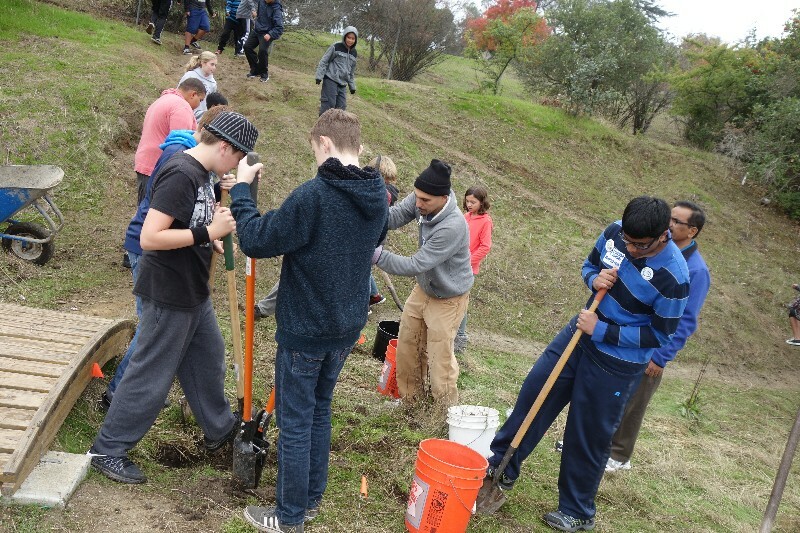 Green Kids Now was able to collect $4,400.00 and donated it to Save The Frogs on 09/19/2015. 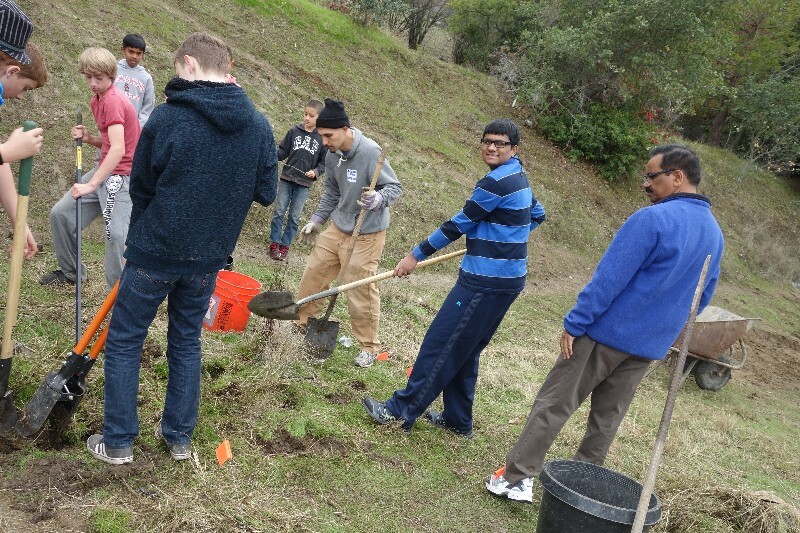 Wetland reconstruction date: November 30th and December 1st, 2015. 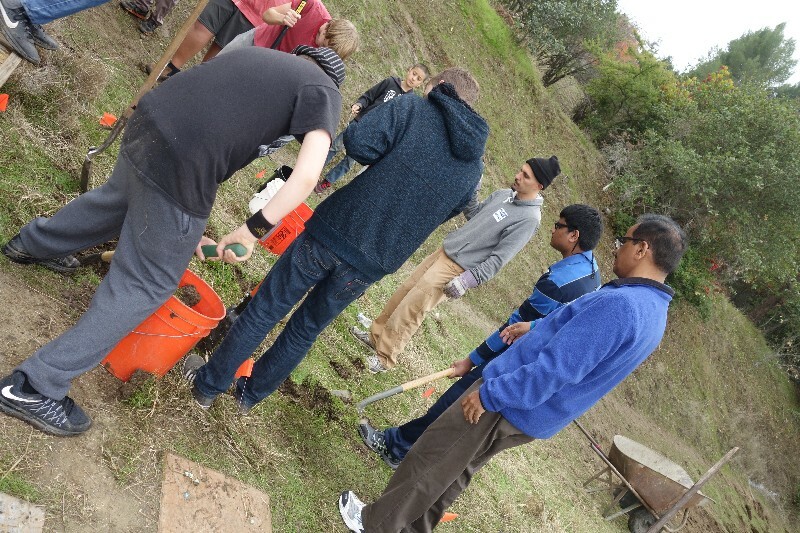 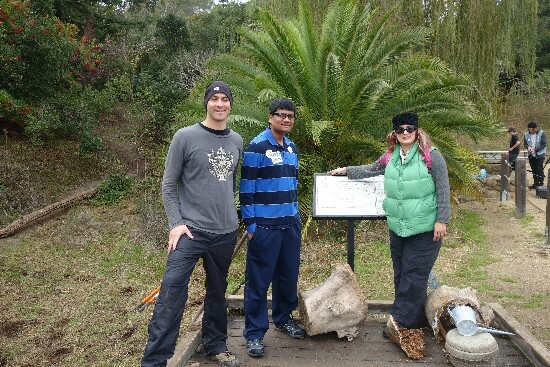 Our goal is to reconstruct wetlands at Clifford School in Redwood City, CA. 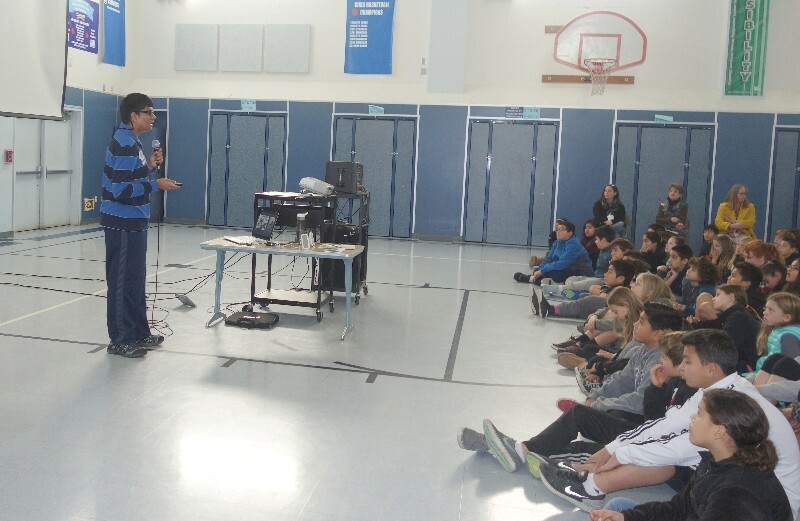 The Clifford School is a public school in Redwood City, CA, surrounded by suburbs. 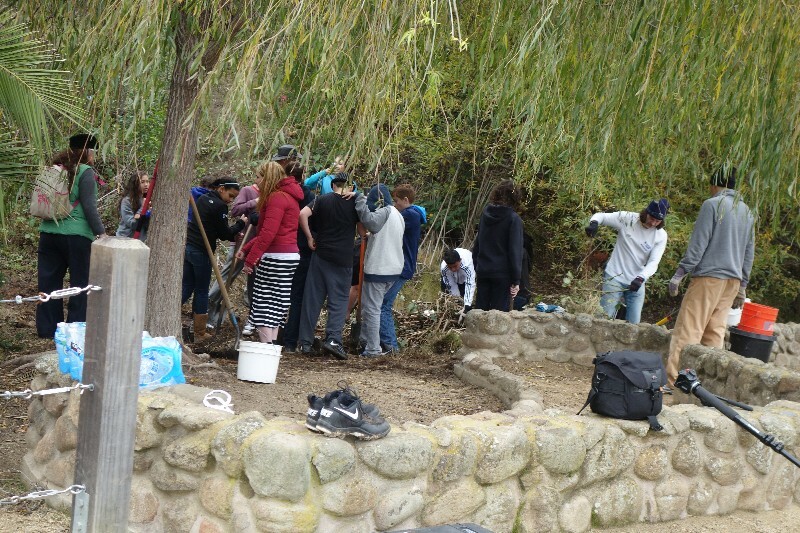 Behind the school is a large grassy area that was once a wetland. 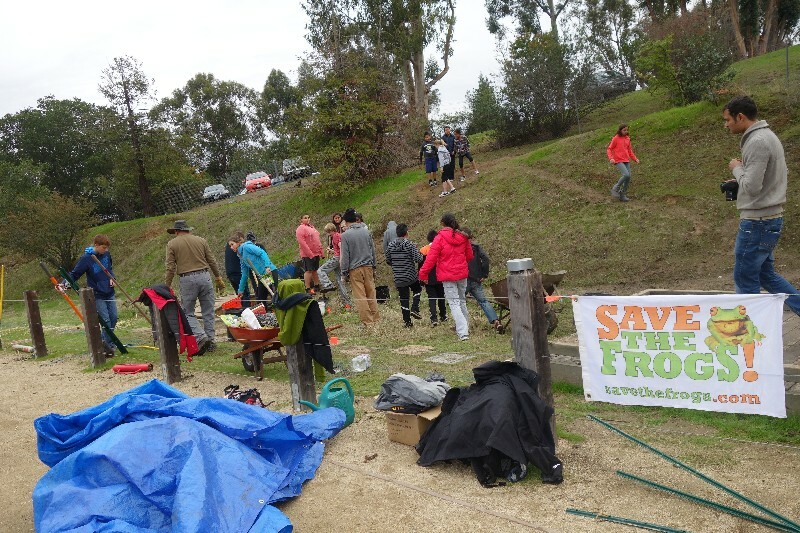 Save The Frogs had surveyed this site and with your help we will turn a drainage ditch at the edge of this field into a series of five small wetlands. 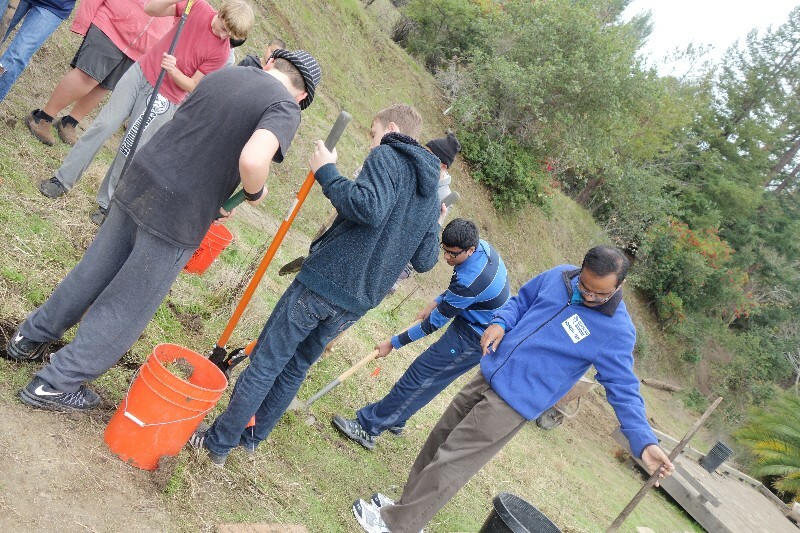 We will also create a beautiful 26′ x 30′ wetland on the hill above the school. 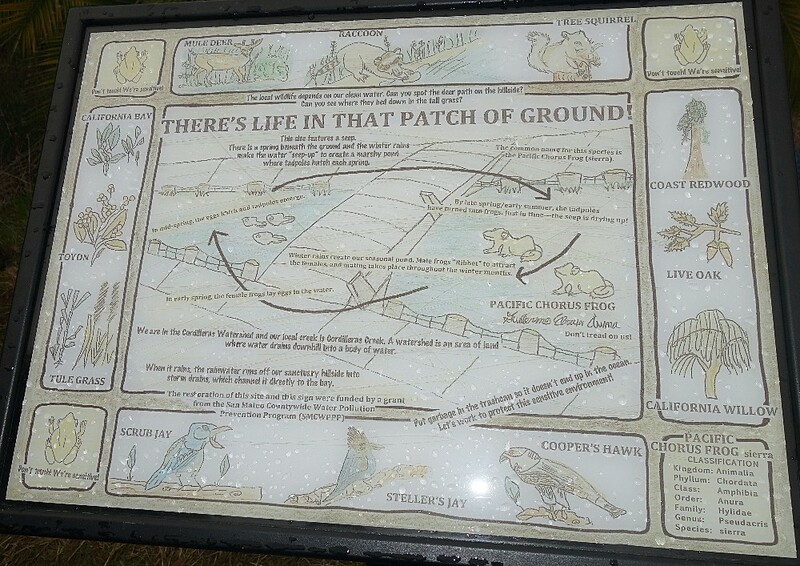 These six wetlands will create habitat for frogs and other wildlife, and educational opportunities for students and teachers. 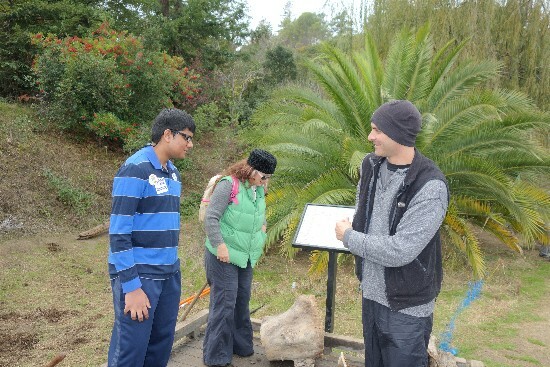 We will incorporate the students into the construction of the wetlands, which would be completed in two days, introducing hundreds of students to the wonders of nature and the value of wildlife. 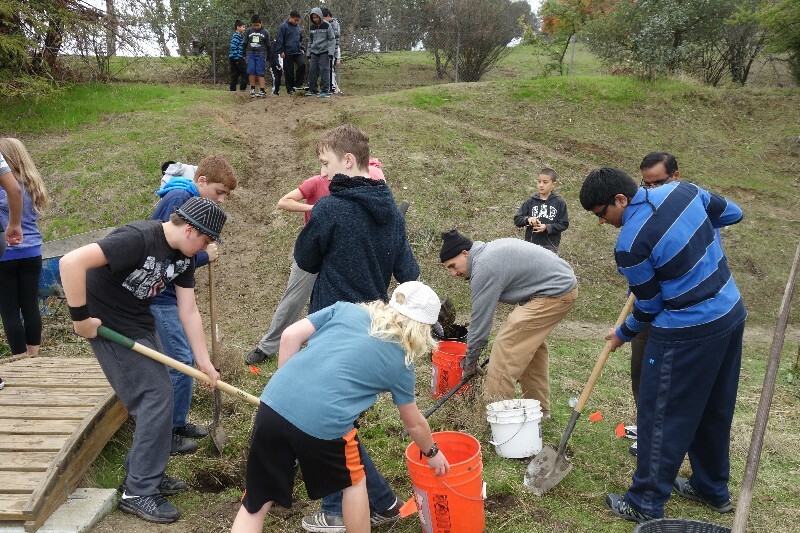 Wetlands Reconstruction Project at Clifford School, in Redwood City: Green Kids Now partnered with Save The Frogs organization on this project. 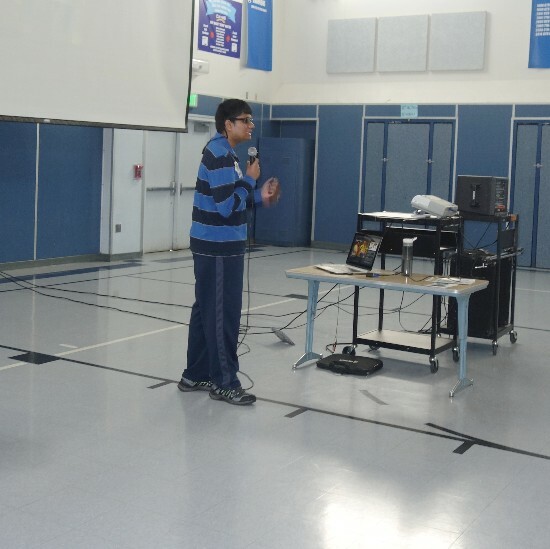 After the yearlong fundraising campaign for this project, Pavan donated $4,400 to Save The Frogs for this project! 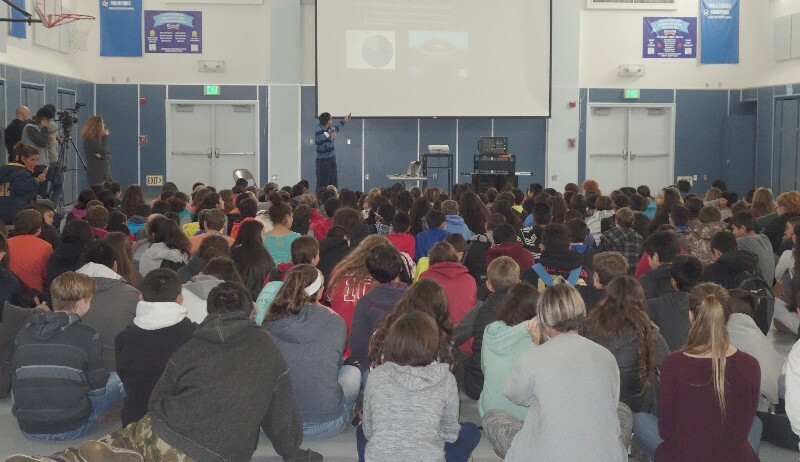 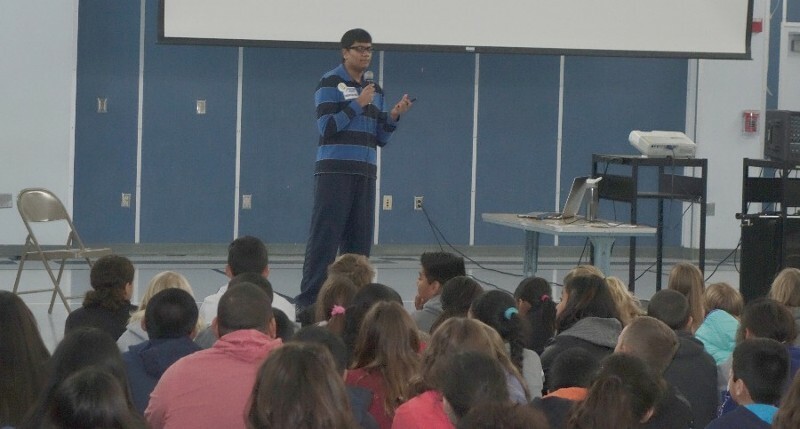 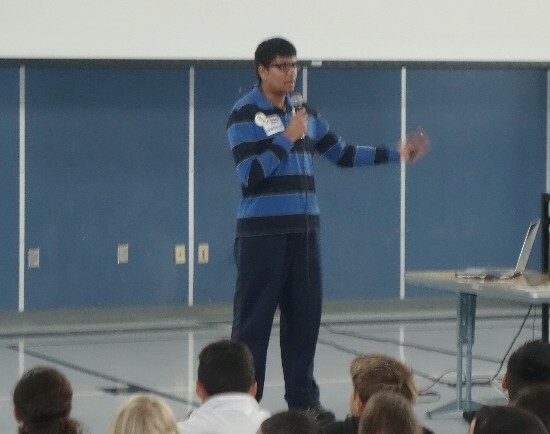 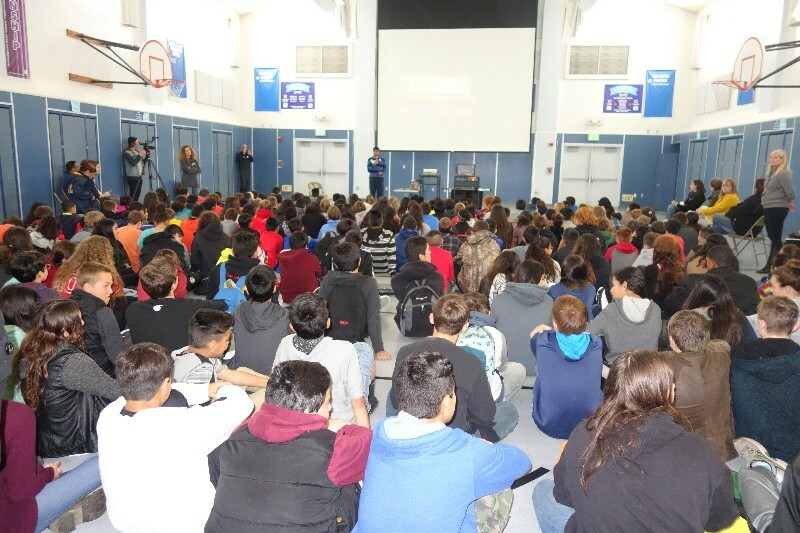 On November 30th, Pavan started the day with Climate Reality presentation to the 6-8 graders about 280 students, and then the students and volunteers from the school and Save The Frogs volunteers, worked together in shifts on the reconstructing of the wetlands! 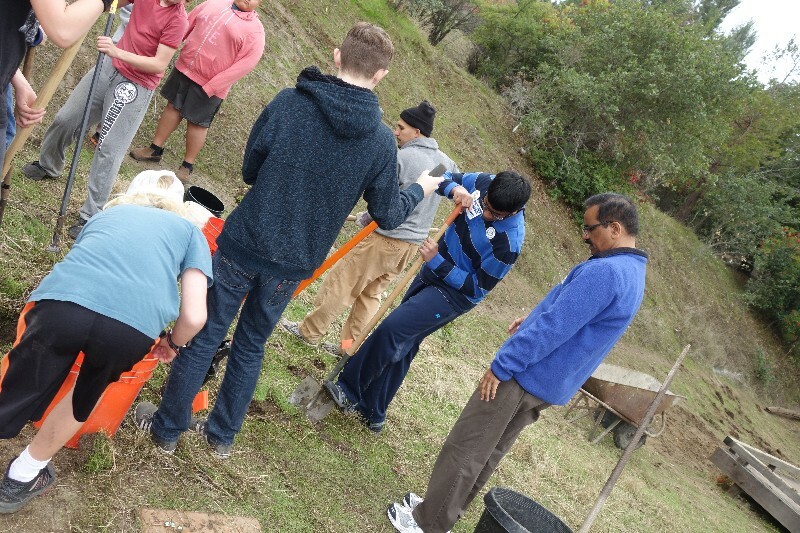 They worked for two days (Nov 30 and Dec 1) and were able to reconstruct six small wetlands! 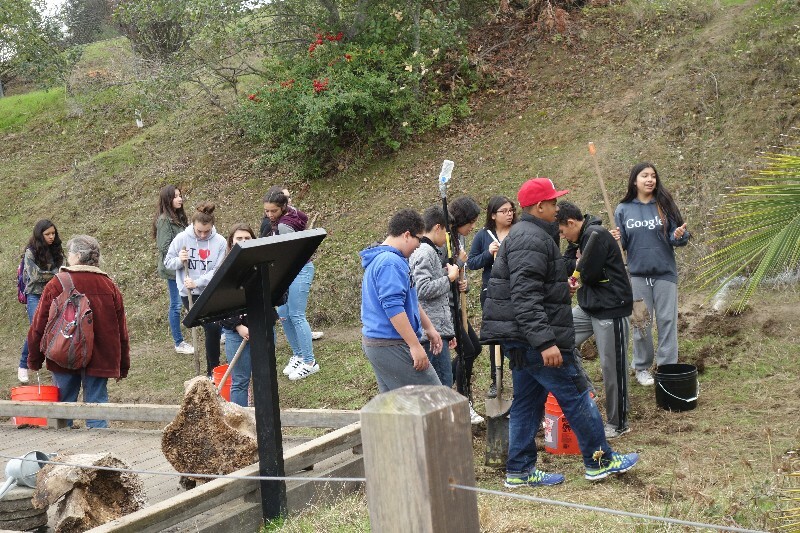 An educational video of this project will be created by Save The Frogs and shared soon, so schools could learn how to do their own nature restoration projects. 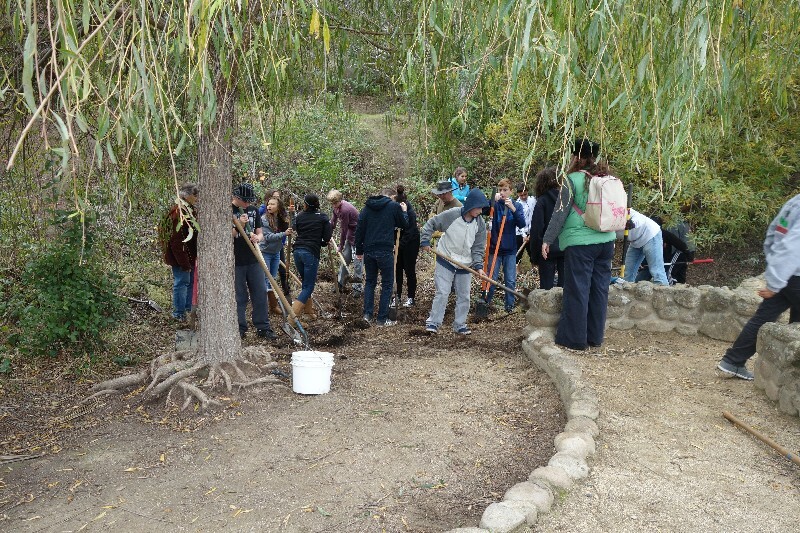 The goal was to restore the wetlands behind the school and to provide quality habitat for the native frogs and plants to thrive, as well as provide outdoor environmental education experiences for the students of Clifford school. 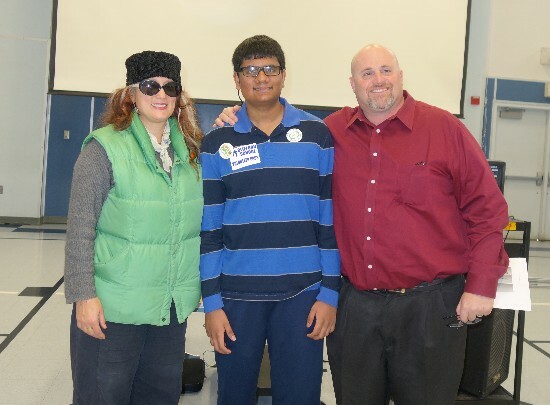 Pavan also partnered with The Digital Frog International, and donated the educational software for digital frog dissection, which would replace the actual dissection of real frogs, and also teach more about the habitats and ecosystems.